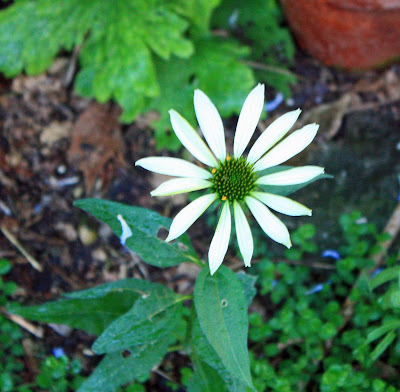 I know quite a few people with colds right now, so here's my sorry-looking echinacea. This plant has struggled for a couple of years. I may move it to a sunnier spot.